I taught for 30 years in some of the worst schools in New York City, and in some of the best, and during that time I became an expert in boredom. Boredom was everywhere in my world, and if you asked the kids, as I often did, why they felt so bored, they always gave the same answers: The work was stupid, it made no sense, they already knew it. They wanted to be doing something real, not just sitting around. Teachers didn’t seem to know much about their subjects and weren’t interested in learning more. And the kids were right: The teachers were every bit as bored as they were. Boredom is the common condition of schoolteachers, and anyone who has spent time in a teachers’ lounge can vouch for the low energy, the whining, the dispirited attitudes found there. When asked why they’re bored, teachers tend to blame the kids. Who wouldn’t get bored teaching students who are rude and interested only in grades? If even that. Of course, teachers are themselves products of the same 12-year school programs that so thoroughly bore their students, and as school personnel, they’re trapped inside structures even more rigid than those imposed on the kids. Who, then, is to blame? We all are. My grandfather taught me that. One afternoon when I was 7, I complained to him of boredom, and he batted me hard on the head. He told me I was never to use that term in his presence again, that if I was bored it was my fault and no one else’s. The obligation to amuse and instruct myself was entirely my own, he said, and those who didn’t know that were childish people, to be avoided if possible. That episode cured me of boredom forever, and here and there over the years I was able to pass on the lesson to some remarkable students. For the most part, however, I found it futile to challenge the official notion that boredom and childishness were the natural state of affairs in the classroom. Often I had to defy custom, and even bend the law, to help kids break out of this trap. By the time I retired in 1991, I’d had more than enough reason to think of our schools—with their long-term, cell-block-style forced confinement of both students and teachers—as virtual factories of childishness. Yet I honestly couldn’t see why they had to be that way. My own experience had revealed to me what many other teachers must learn along the way, too, yet keep to themselves for fear of reprisal: If we wanted, we could easily and inexpensively jettison the old, stupid structures and help kids take an education rather than merely receive schooling. We could encourage the best qualities of youthfulness—curiosity, adventure, resilience, the capacity for surprising insight—by being more flexible about time, texts and tests, introducing kids to truly competent adults, and giving each student the autonomy he or she needs to take risks. We’ve been taught (that is, schooled) to think of “success” as synonymous with, or at least dependent on, “schooling,” but historically that isn’t true in either a financial or intellectual sense. Plenty of people throughout the world find ways to educate themselves without resorting to a system of standard school programs that all too often resembles prisons. Why then do we confuse education with such a system? What exactly is the purpose of our schools? Mass schooling of a compulsory nature was conceived and advocated throughout most of the 19th century. The reason given for this enormous upheaval of family life and cultural traditions was, roughly speaking, threefold: to make good people, to make good citizens, to make each person his or her personal best. These goals are still trotted out today on a regular basis, and most of us accept them as a decent definition of public education’s mission, however short schools fall in achieving them. But we’re dead wrong.
. . . Divide children by subject, by age, by constant test rankings and by many other more subtle means, and it was unlikely that the ignorant mass of mankind, separated in childhood, would ever re-integrate into a dangerous whole. Maturity has by now been banished from nearly every aspect of our lives. Easy divorce laws have removed the need to work at relationships; easy credit has removed the need for fiscal self-control; easy entertainment has removed the need to learn to entertain oneself; easy answers have removed the need to ask questions. We’ve become a nation of children, happy to surrender our judgments and our wills to political exhortations and commercial blandishments that would insult actual adults. We buy televisions, and then we buy the things we see on the television. We buy $150 sneakers whether we need them or not, and when they fall apart too soon we buy another pair. We drive SUVs and believe the lie that they constitute a kind of life insurance, even when we’re upside-down in them. Now for the good news. Once you understand the logic behind modern schooling, its tricks and traps are fairly easy to avoid. School trains children to be employees and consumers; teach your own to be leaders and adventurers. School trains children to obey reflexively; teach your own to think critically and independently. Well-schooled kids have a low threshold for boredom; help your own to develop an inner life so they’ll never be bored. Urge them to take on the serious material, the grown-up material, in history, literature, philosophy, music, art, economics, theology—all the stuff schoolteachers know well enough to avoid. Challenge your kids with plenty of solitude so they learn to enjoy their own company, to conduct inner dialogues. Well-schooled people are conditioned to dread being alone, and seek constant companionship through the TV, the computer, the cellphone, and through shallow friendships quickly acquired and quickly abandoned. Your children should have a more meaningful life, and they can. First, though, we must wake up to what our schools really are: laboratories of experimentation on young minds, drill centres for the habits and attitudes that corporate society demands. Mandatory education serves children only incidentally; its real purpose is to turn them into servants. Don’t let your own have their childhoods extended, not even for a day. There’s no telling what your own kids could do. After a long life and 30 years in the public school trenches, I’ve concluded that genius is as common as dirt. We suppress our genius only because we haven’t yet figured out how to manage a population of educated men and women. The solution, I think, is simple and glorious. Let them manage themselves. 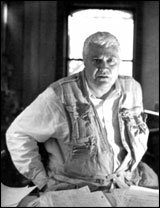 John Taylor Gatto is a retired schoolteacher. This is an edited excerpt from Weapons of Mass Instruction: A Schoolteacher’s Journey through the Dark World of Compulsory Schooling, published by New Society in October, 2008.